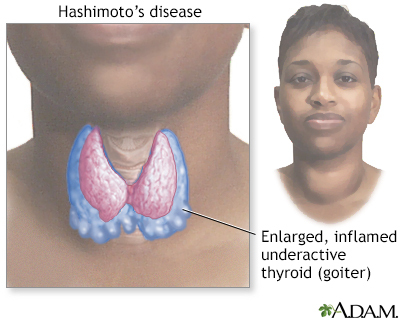 Graves disease is an autoimmune disorder that involves overactivity of the thyroid (hyperthyroidism). 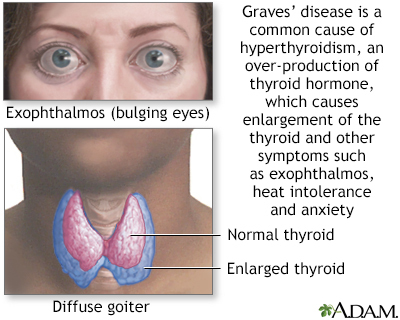 Hallmarks of the condition are bulging eyes (exophthalmos), heat intolerance, increased energy, difficulty sleeping, diarrhea and anxiety. 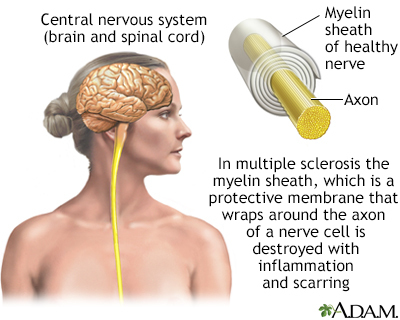 Multiple sclerosis is a central nervous system disorder marked by decreased nerve function with initial inflammation of the protective myelin nerve covering and eventual scarring. 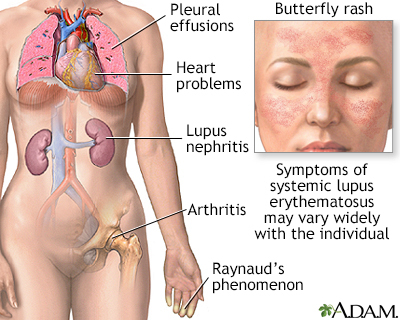 Symptoms and severity of symptoms vary widely and may progress into episodes of crisis alternating with episodes of remission. 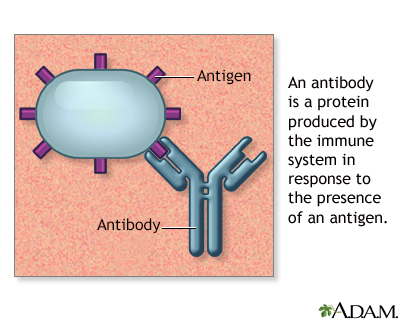 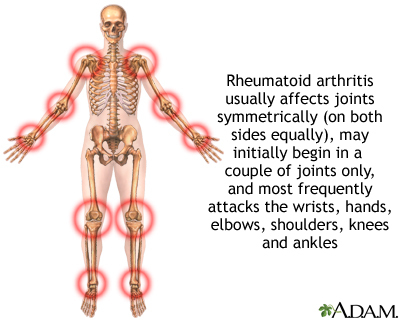 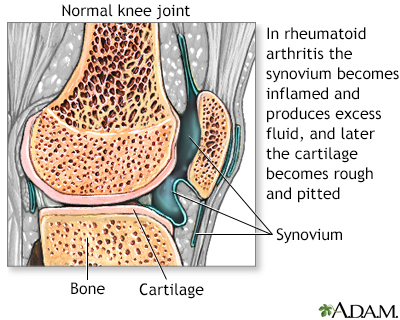 Rheumatoid arthritis is a systemic autoimmune disease which initially attacks the synovium, a connective tissue membrane that lines the cavity between joints and secretes a lubricating fluid. 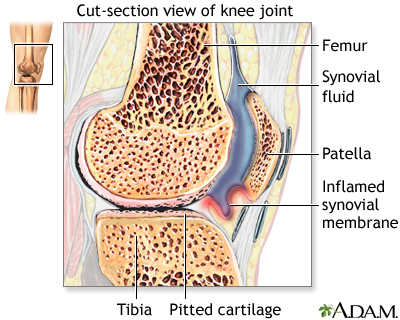 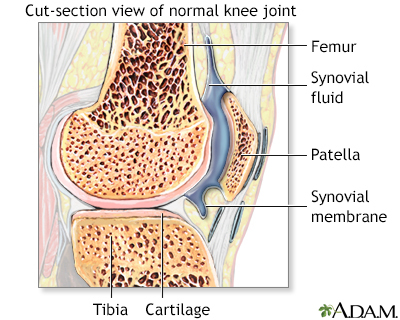 The synovial membrane is the inner membrane of tissue that lines a joint.&#160;The synovial membrane secretes synovial fluid which serves to lubricate the joint.